Former Secretary of State Madeleine Albright discusses her new book – a personal and urgent examination of Fascism in the twentieth century and how its legacy shapes today's world. Order your ticket package at the bottom of the page. We'll send you an email confirmation. TICKET PACKAGES → Ticket Package 1: $24.54 + fees (SOLD OUT): One (1) signed paperback copy of Fascism and admission for one (1) person. → Ticket Package 2: $29.54 + fees (SOLD OUT): One (1) signed paperback copy of Fascism and admission for two (2) people. → Ticket Package 3: $35.40 + fees (SOLD OUT): One (1) signed hardcover copy of Fascism and admission for one (1) person. → Ticket Package 4: $40.40 + fees (SOLD OUT): One (1) signed hardcover copy of Fascism and admission for two (2) people. Purchase below (at the bottom of the page). WILL-CALL opens at 6pm outside the auditorium. Please check in here to be admitted into the event. PICK UP YOUR SIGNED BOOK at the Orpheum on event day, outside the auditorium between 6 and 7pm. SEATING is general admission and opens at 6pm. 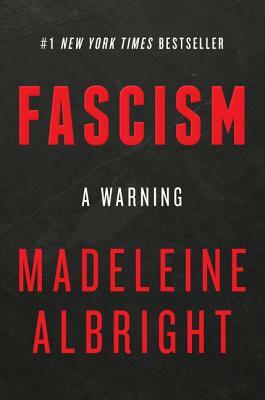 Madeleine Albright will pre-sign copies of Fascism before the event. CAN'T MAKE IT? Call 602.274.0067 to order a signed copy of Fascism and we'll have it signed and reserved for you. We also ship anywhere in the US and to most international locations! A Fascist, observes Madeleine Albright, "is someone who claims to speak for a whole nation or group, is utterly unconcerned with the rights of others, and is willing to use violence and whatever other means are necessary to achieve the goals he or she might have." 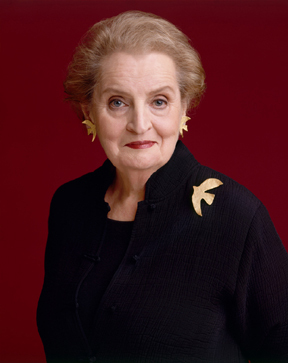 MADELEINE ALBRIGHT served as America's sixty-fourth secretary of state from 1997 to 2001. Her distinguished career also in-cludes positions at the White House, on Capitol Hill, and as U.S. ambassador to the United Nations. She is a resident of Washington D.C., and Virginia.